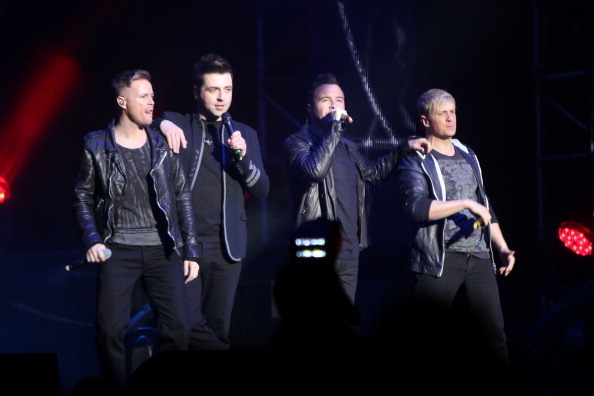 Westlife is in the Philippines for their “Gravity Tour 2011″ concert at the Araneta Coliseum in Quezon City on Thursday. This is the band’s fourth concert in the country so far. Byrne, the oldest Westlife member at 32 years old, made quite a noise among Filipino fans on Twitter not just because of their concert but also because of his public singing invitations to Pacquiao. A week before Westlife’s visit to Manila, Byrne (@nickybyrneoffic), on Twitter, invited Pacquiao to sing with the band. Pacman responded to Byrne through GMA News reporter Mark Zambrano who was covering his training in Baguio, saying he was open to performing with the band. Shortly after GMA News put Pacquiao’s response on the Twitter news feed, reactions poured online, making it the most popular tweet that day. Even the fans started sending tweets, begging to help Byrne’s sincere and determined request for a duet with Pacquiao. A few message exchanges later, while Byrne was with the band in Hong Kong as part of their Asian tour, he reached Pacquiao’s camp. In a Skype interview with GMA News Social Media Team (SMT), Byrne revealed he had been a fan of Pacquiao for four years now. “He brings boxing to a whole new level. He’s an exceptional fighter,” said Byrne. The 32-year-old Byrne is also a big Sports fan, being an athlete himself; he played professional football for Leeds United in the UK and tells GMA News SMT that he also boxed back in his hometown in Ireland. The idea for a duet, he said, was brought up after a Google search revealed Pacquiao was quite the singer. Byrne got in touch with Pacquiao’s Secretary and the whole thing was in the works days before the concert, which will be held tonight at the Smart Araneta Coliseum. However, as of posting time, Pacquiao, who is still in Baguio training, said on GMA News TV’s “News To Go” on Thursday that his training could not be halted. “Maganda sana pero may training tayo, hindi puwedeng huminto,” (It would have been nice but we can’t stop [the training], Pacquiao said. “Obviously he’s training for a fight, so we understand. I will be disappointed but I understand. If it can happen, it will be incredible, absolutely incredible,” said Byrne. Byrne is not the first international star to express his admiration for Pacquiao. Among the long list are hotel heiress Paris Hilton, who visited Manila last month in constant company of the Pacquiaos, Jeremy Piven, Steven Baldwin, and even Justin Bieber. Pacquiao is also no stranger to singing. During the US leg of the Pacquiao-Marquez World Press Tour, he even sang his popular cover of “Sometimes when we touch” with the original artist, Dan Hill. Will Westlife be his next duet partners? We’ll have to see. In any case, Byrne said he’s looking forward to come back to Manila.